The world future energy summit that is also part of Abu Dhabi sustainable week is celebrating its 10th anniversary in 2017. The world future energy summit is a grand event to promote clean energy, sustainable transport and companies that are working in these fields. 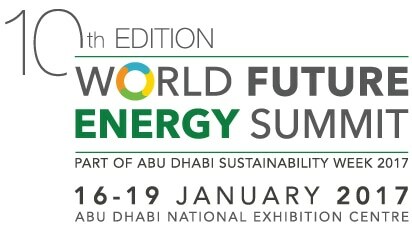 The energy summit is going to take place from the 16th January to 19th January 2016 at Abu Dhabi. The 10th annual gathering would bring different companies, manufacturers, distributors, renewable energy industrialist and government figures at one spot. In 2016, 600 companies from 32 countries and more than 30,000 visitors from 150 countries became part of this great event. The exhibition would enable attendees to meet and connect with different government figures and companies. The conference part is specially relevant for people who belong to renewable energy industry because it would provide deep insight about leading technology innovation, future infrastructure plans and government strategies. The 365 matchmaking solution is designed for all the people that wish to save time and meet right people. Furthermore, this solution is active 24/7 to provide you an easy access to interested people. The sustainable transport zone is a great initiative for showcasing technology products and future ideas. Therefore, It invites all local and international distributors and manufacturers to discuss about latest technology developments. As a result world future energy summit gives you a chance to show your technology innovation at a braoder level. In conclusion, this event would provide great opportunities to network and with new industry people and open doors for exciting business opportunities. So get registered today for World Future Energy Summit.